There are many questions that come up when contemplating a move to New York, including what the cost of living is like and how much downsizing is needed. However, there are other concerns that come up involving the process of moving itself — particularly if you’re driving from North Texas to the northeast. You might be wondering which route to take, how long the trip will take, and what there is to see and do along the way. To help answer those questions, we’ve come up with a brief guide. According to Google Maps, Dallas is 1,547 miles from New York. We’ve split the drive into three segments, which are each about 500 miles long. Day 1: Dallas, TX to Memphis, TN. (452 miles). You leave the Dallas-Fort Worth area to the east on Interstate 30, driving over Lake Ray Hubbard, past Greenville and into Northeast Texas. You cross into Arkansas at Texarkana about two hours later and stay on Interstate 30 until it ends near Little Rock a couple hours after that. You then hop on eastbound Interstate 40. About two hours later you cross the Mississippi River into Memphis. The Texas portion of this drive features a lot of forested areas and ranches. Most of the Arkansas portion of the route is wooded and hilly, although areas east of Little Rock and near the Mississippi Flood Plain are more open. Texarkana —which is featured in the Burt Reynolds movie Smokey and the Bandit — is divided nearly evenly between Texas and Arkansas, and a building housing a federal courthouse and post office actually straddles the state line there. Little Rock features a riverfront area, a historic district and the William J. Clinton Presidential Center. The former U.S. president was born in Hope, AR (near Texarkana along Interstate 30). He grew up in Hot Springs — a city that has long been a magnet for tourism due to the natural thermal springs it’s named for. If you want to take a spa stop, take a short detour off of Interstate 30 near Malvern. Memphis is full of attractions. 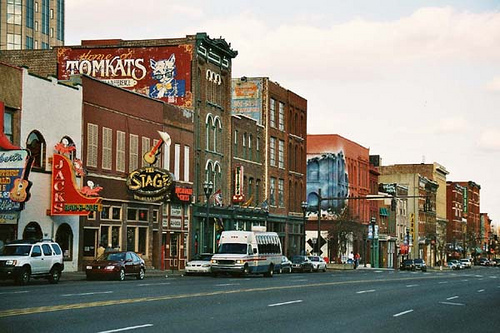 Graceland —the former home of Elvis Presley — is located in the area, and Beale Street is renowned for its blues scene. Mud Island (along the Mississippi River) features a replica of the lower half of the river. You can watch a small stream of water flow from near St. Louis all the way to the Gulf of Mexico beyond New Orleans. And if you get hungry, you can always stop for some famous Memphis barbeque. Day 2: Memphis, TN to Bristol, TN. (502 miles). It’s not exactly the size of Texas, but it can take most of a day to go from the southeastern corner of Tennessee to the state’s northeastern tip. That’s the task at hand today. You take Interstate 40 eastbound out of Memphis. Three hours later you reach Nashville, where you continue eastbound on Interstate 40. About three hours after that you reach Knoxville, but you also lose an additional hour while shifting into the Eastern Time Zone. Several miles east of Knoxville, you hop on Interstate 81, which whisks you towards the northeast corner of the Volunteer State, at Bristol. Today’s drive is much more scenic. Most of Tennessee is very hilly, and there are several rivers that wind through these hills. The highways east of Knoxville follow the foothills of the picturesque Great Smoky Mountains, which divide Tennessee and North Carolina. There are quite a few sights to see during the trek across Tennessee. Of course, Nashville is known for being the home of country music, and the Grand Ole Opry is a short drive from downtown. There’s also a pretty riverfront area and the picturesque campus of Vanderbilt University to explore. You’ve probably seen a few Cracker Barrel restaurants along the interstate by now as well. The chain is based in Lebanon, which is about a half an hour east of Nashville, and the first of these restaurants was built off of Interstate 40 there in 1969. Knoxville is the largest city in eastern Tennessee, but you can see hills in all directions. Of course, the Great Smoky Mountains also rise majestically south of Knoxville, which is known for being the home of the University of Tennessee. A good ways off the interstate sits Pigeon Forge, the home of country legend Dolly Parton’s theme park Dollywood. 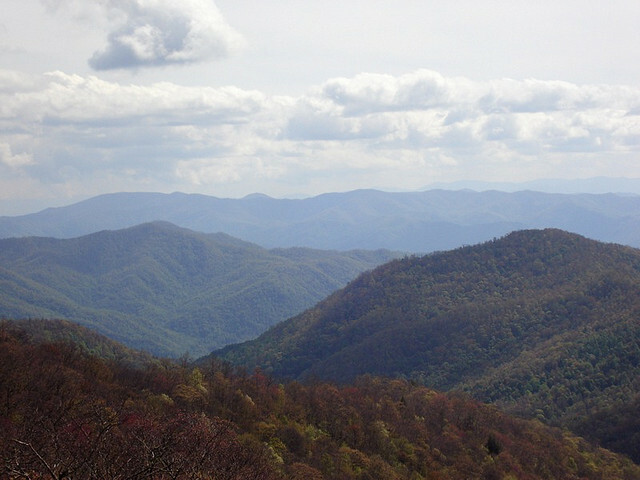 Further south — past the resort city of Gatlinburg — is the Great Smoky Mountains National Park, which showcases the beauty of one of the Appalachian’s most prominent ranges. Day 3: Bristol, TN to New York, NY. (595 miles). Much like Texarkana, Bristol straddles the border between two states (Tennessee and Virginia). After passing through the Virginia side of the city, you continue northeast on Interstate 81 as it winds through the valleys of the Blue Ridge Mountains. About five hours later, the highway leaves Virginia. After cutting through small portions of West Virginia and Maryland, you follow Interstate 81 into Pennsylvania. About 90 minutes later (and several miles past Harrisburg), you hop on Interstate 78, which takes you through eastern Pennsylvania and northern New Jersey. After about 3 hours of driving the full length of Interstate 78, you take a tunnel under the Hudson River and land in New York City. Your long journey is over! Much of this route follows the Appalachian Mountains, so it’s pretty scenic. 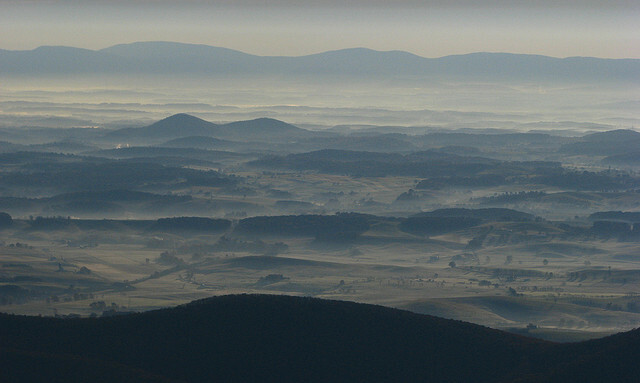 Interstate 81 follows the Shenandoah Valley through Virginia, with the Blue Ridge Mountains rising nearby. The remainder of the drive also feature mountains and hills; in fact, the hills only end when you’re about 25 miles from New York! While you don’t pass through any major cities on this route, there are plenty of sights not far from the highway in Pennsylvania. Gettysburg —located about 15 miles east of Interstate 81 in the southern part of the state — was the site of the Civil War’s northernmost and most-prominent battle. Located about 15 miles east of Harrisburg, the town of Hershey is the home of one of the most famous chocolate companies in America. The Hersheypark amusement park is also located in the town. If you’re looking to move to New York, or anywhere else in the country, Garrett’s Moving and Storage is here to help. We’ve moved thousands of customers since 1992. To get a free quote, click here or call 972-487-5843 today. This entry was posted in Moving Stories, Stress Free Moving Tips and tagged dallas to new york, long distance moving, travel guide. Bookmark the permalink.